ART/SPACE is an evening of films and videos on artists working in urban spaces, from abandoned houses and buildings to subway trains. Bring lawn chairs, blankets, coolers, and enjoy an autumn evening of films in a dynamic outdoor location! **In "Splitting" and "Bingo/Ninths," artist Gordon Matta-Clark makes large-scale cuts in the walls and floors of houses, to stunning effect. 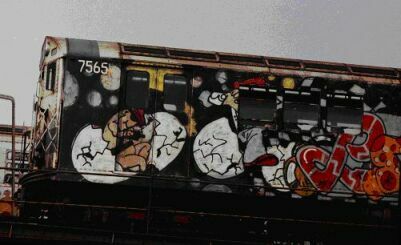 **Manfred Kirchheimer’s "Stations of the Elevated" combines the music of jazz legend Charles Mingus with vintage footage of graffiti art on the traveling subway trains of New York. Filmed a half-decade before the landmark graffiti films "Wild Style" and "Style Wars" - and currently unavailable commercially - this wordless, lyrical study is a classic document. "Stations of the Elevated" is shown by special arrangement with the filmmaker. 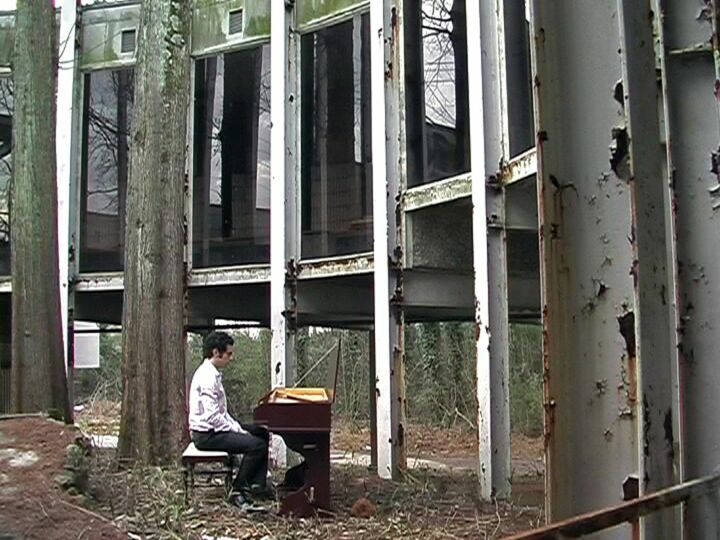 **Meanwhile in 2007 Atlanta, a group of artists named Public and Private give acoustic music performances in carefully chosen abandoned spaces, highlighting the fleeting beauty of our rapidly changing city. **Filmmaker Blake Williams provides a newly created, poetic video portrait of Atlanta. ART/SPACE is a Film Love event, programmed and hosted by Andy Ditzler for Frequent Small Meals. Film Love exists to provide access to great but rarely-screened films, and to promote awareness of the rich history of experimental and avant-garde film. Film Love was voted Best Film Series in Atlanta by the critics of Creative Loafing in 2006.